Korea Tour Package: Korean Tour Package – Go for the Nami Island Tour! Korean Tour Package – Go for the Nami Island Tour! When you are looking for more than the city of Seoul, South Korea, you should move for the Nami Island tour. These days, such Korean region is drawing the attention of many visitors coming to this country. Once visitors are done with their Seoul tour, they prefer to move for Nami Island. Well, there are some big reasons why this Korean region has managed to draw so many attentions. It takes only ninety minutes to reach for Nami Island from Seoul. So, you will have no problem at all from accessing this amazing place when you are in South Korea. This island is popular due to its geographical shape. It often looks like a half moon. And this has become a very prominent reason for this islet to draw attention from the travelers coming to South Korea. Right at the center of the River Bukhangang this islet is located. This is also what making such place more beautiful. It’s the sceneries and the locations at Nami Island which is adding real natural beauty for the place. For the Asian tourists, Nami Island has appeared as a pilgrimage place over the years. This has occurred once the Korean drama named as Winter Sonata has become popular in the Asian regions. Even the tourists who don’t know much about Yonsama are still going to find a prominent touring experience when they are at Nami Island. It’s the Korean tour package that can really take you on a memorable journey of this islet. Well, here you can always expect to have fabulous Korean delicacies. The restaurants here prepare and serve these cuisines with the traditional style. Nami Island tour is something that you will surely not want to miss when you are in South Korea. Once you are over with your lunch at the Nami Island, you can get back to the Seoul city’s neighborhood at Insa Dong in order to have traditional Korean tea and dinner. 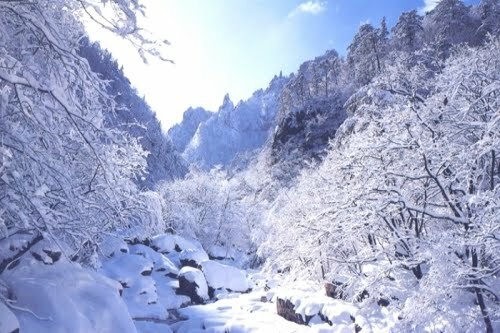 Nami Island tour can offer you such a traveling experience that you are going to remember for a long time in your life. The parks and the tourist attractions located at this place can always make you feel mesmerize. This is a great spot for the group travelers as well. When you choose your Korean tour package, you always need to check whether or not the name Nami Island is there. Without visiting this place, your tour to Korea may remain incomplete.